What is Arctic Freeze® Ultra Synthetic? Arctic Freeze® Ultra Synthetic is a patented R-134a refrigerant that’s been chemically formulated and designed to enhance the performance of A/C systems. It contains advanced QwikBoost® chemistry to provide more efficient cooling. Arctic Freeze® products also contain acid neutralizers, leak sealers and O-ring conditioners. The active chemistry in Arctic Freeze® Ultra Synthetic allows R-134a refrigerant to carry more heat. 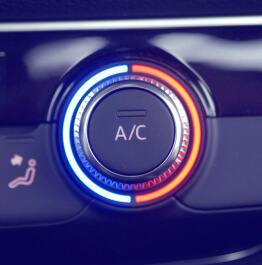 When it reaches the evaporator in a vehicle’s A/C system, the active chemistry causes the R-134a to come out of the solution and increases the system’s cooling capacity, which means your car cools faster! Arctic Freeze® contains R-134a refrigerant and is compatible with all R-134a systems. How does Arctic Freeze® Ultra Synthetic work? The active chemistry in Arctic Freeze® Ultra Synthetic allows R-134a refrigerant to carry more heat. When it reaches the evaporator in a vehicle’s A/C system, the active chemistry causes the R-134a to come out of the solution and increases the system’s cooling capacity, which means your car cools faster! Can I use Arctic Freeze® Ultra Synthetic in place of standard R-134a refrigerant? Yes, Arctic Freeze® contains R-134a refrigerant and is compatible with all R-134a systems. Arctic Freeze® products also contain acid neutralizers, leak sealers and O-ring conditioners.